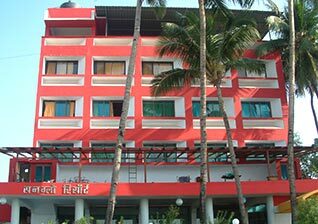 Sunglow Resort is situated in Alibaug, a peaceful town on the western coast of India, known as the Konkan region. By road Alibaug is just 3 hour drive from Mumbai. Sunglow Resort is just a 1.5 km. from the Alibaug ST Depot. Our resort is directly facing the beautiful Arabian Sea and Alibaug Fort. We have well equipped and furnished 15 rooms in total, all overlooking the beach. 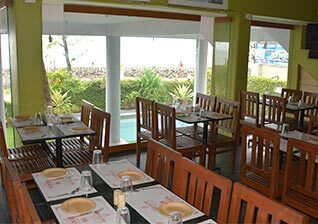 A restaurant where you can enjoy vegetarian as well as non-vegetarian Chinese and Indian cuisines. A aquamarine swimming pool for a refreshing dip and paddling pool for kids enjoyment. 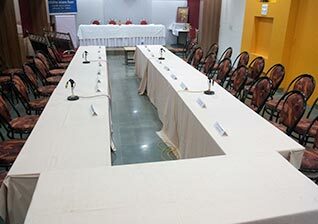 Conference hall accommodating 100 people. Children can enjoy sport activities like table tennis, carom, cards etc.